Join our upcoming EBAN Space Webinar on an Optimal Pitch for a Space Tech Startup – 1st of April at 12:00 PM CEST. Space Tech Startups founders will learn during this webinar about the general guidelines to deliver an optimal pitch as well as how to open and close, which posture to use and how to play with their voice. Moreover, they will know how to prepare a great slide deck supporting their pitch and how to make efficient rehearsals. 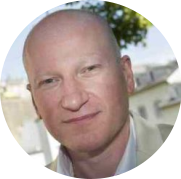 The Webinar features EBAN Space Executive Committee Member and Co-Chairman of Luxembourg Space Tech Angels: Fabrice Testa.